Escaping the madness of La Paz in order to get to Peru. 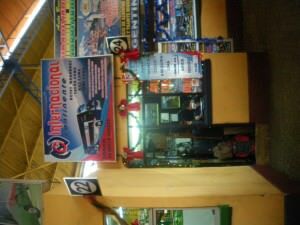 I was in a rush and had just returned to La Paz for the second time (having done the Salar de Uyuni tour) so I booked it through the hostel. There may be a slight extra charge but it saves the walk. If you head to the bus station you are very unlikely to get a bus booked instantly so you will need to book in advance. It’s the way Bolivian buses operate. 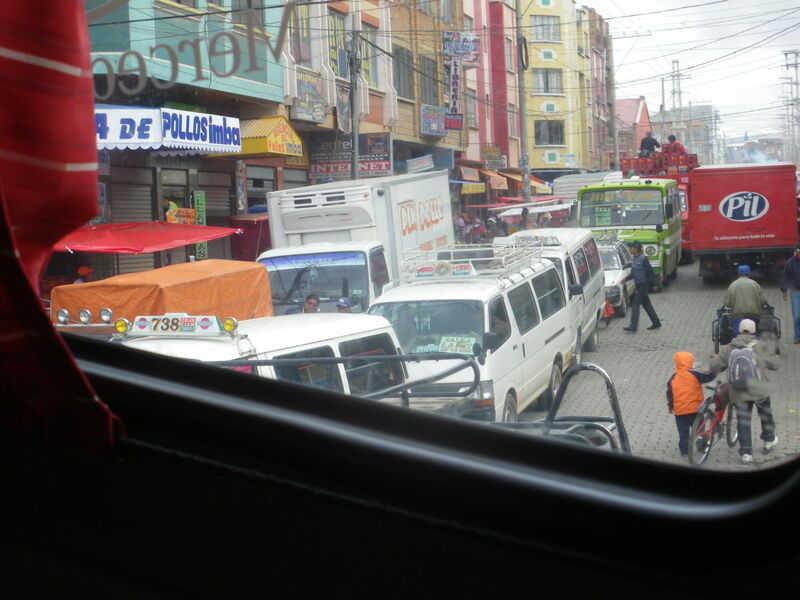 Every Bolivian bus I took was FULL. And they always are. 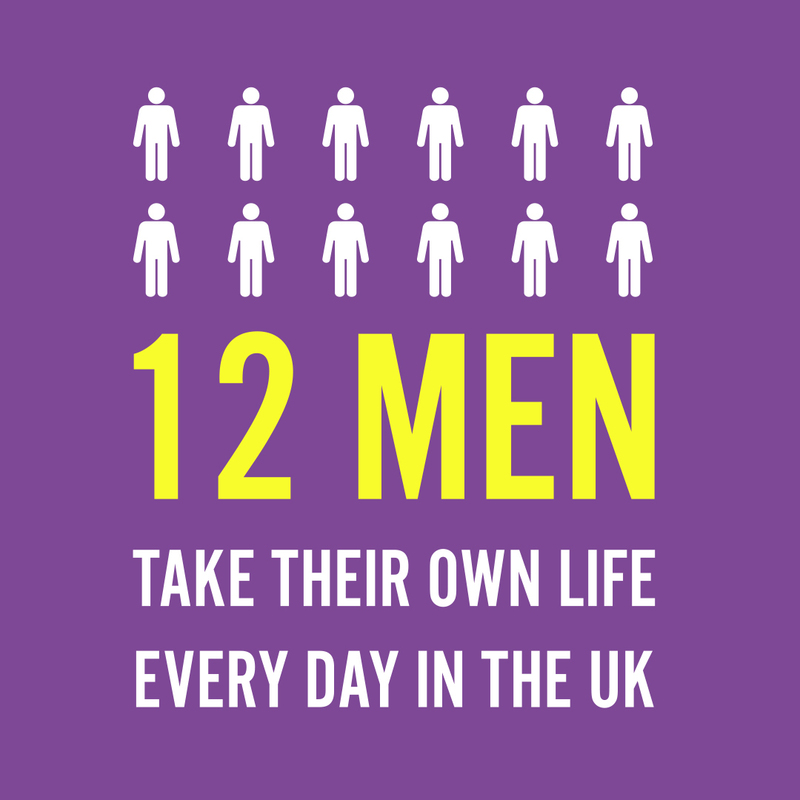 So book a day (or two days) before to make sure you’re on it. 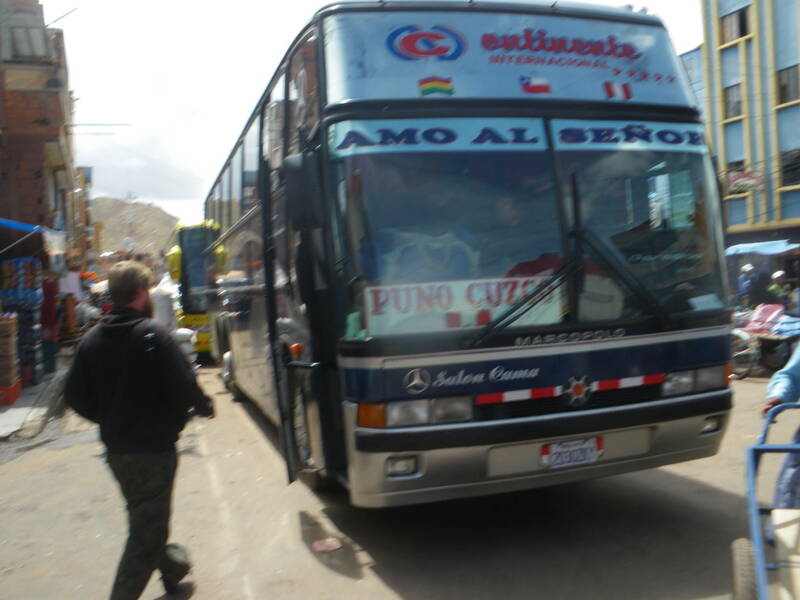 If you book your bus at the station you will get a better rate as there are TONS of companies operating buses across the border to Cuzco, Copacabana and Puno. 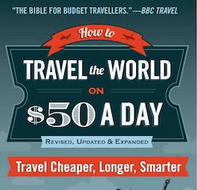 MOST travellers head to Copacabana or Puno and want to do Lake Titicaca. As I said, I was pushed for time as I wanted to do the 4 day Inca Trail hike at Christmas (arriving especially at Machu Picchu on Christmas Day) so I headed straight for Cuzco. That’s a 12 hour bus journey (that became about 16 hours due to breakdowns and delays). 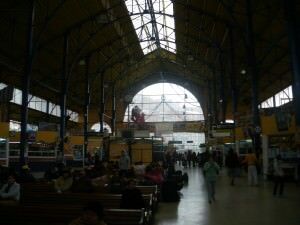 I chose Internacional Continente and though my bus had a 6 hour delay and broke down about 8 times, I had no issue with them whatsoever – their service was good, lunch was provided and they got me there safely, albeit only 5 hours before I was due to start the Inca Trail!! 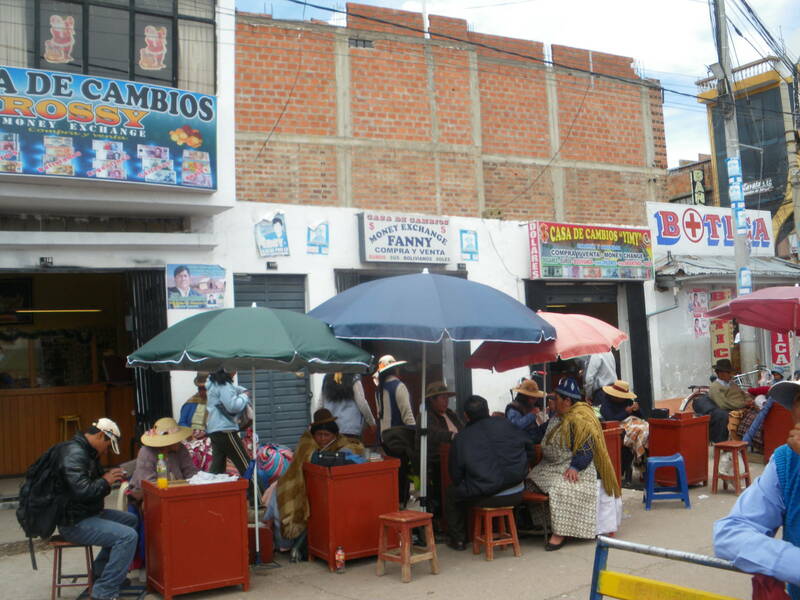 Even after you have bought your bus ticket there will be a departure tax for leaving La Paz. You have to buy this at the bus station and it cost me 2 Bolivianas. 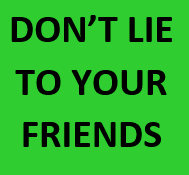 It’s standard procedure – it’s not a scam! If you don’t have the departure tax stamp on your ticket, they won’t let you through the gate to where the bus leaves from. La Paz bus station – make sure you pay your departure tax or they won’t let you through to the departure point. 2. 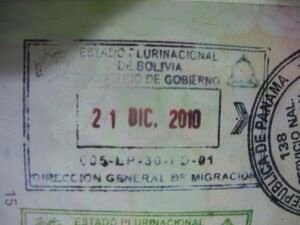 Two Bolivian guys get on just before the border to check passports. This is fairly routine. The trip from La Paz to Desaguadero is a traveller’s feast – sit back, relax and enjoy the countryside! 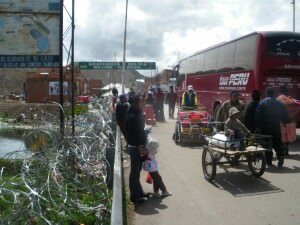 On the Bolivian side you get off the bus, taking all of your belongings and then you go to the Bolivian Immigration checkpoint. This is a small one storey, old building just in front of the bridge. You can’t miss it. 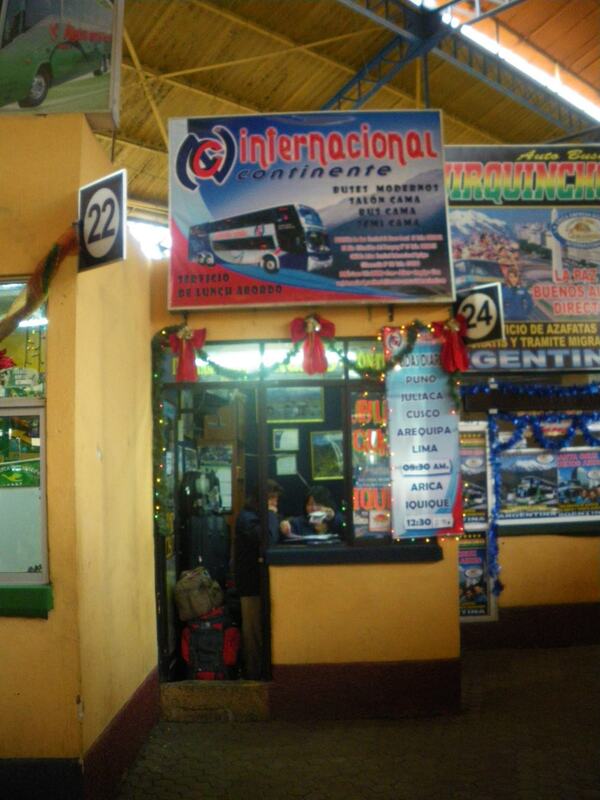 The Bolivian Immigration Checkpoint Building at Desaguadero. Simply hand in your departure card and get your exit stamp. There was a short queue when I was there. I think the locals don’t need to bother so you might see a few other foreigners in there. 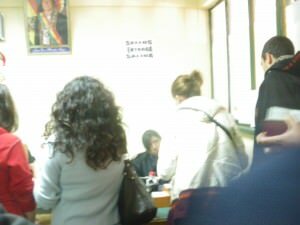 Short queue for the Bolivian Exit stamp at Desaguadero. Your bus will drive on through to the Peru side of the border and park somewhere to wait for you. At least it should. You might want to take a photo of your bus or remember its number plate. My Bus bound for Cusco waited for us over the border in Peru. You walk across the border on foot – it’s across a very small bridge. Nothing dodgy about it and nobody bothers you – to contrast with the Brazil – Paraguay border I once crossed. 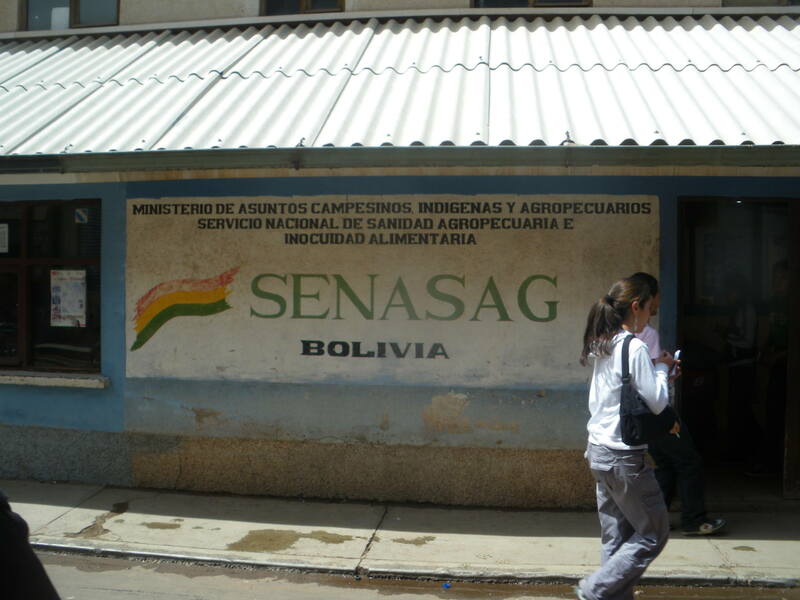 A hint of sadness at leaving behind Bolivia at the border with Peru at Desaguadero. 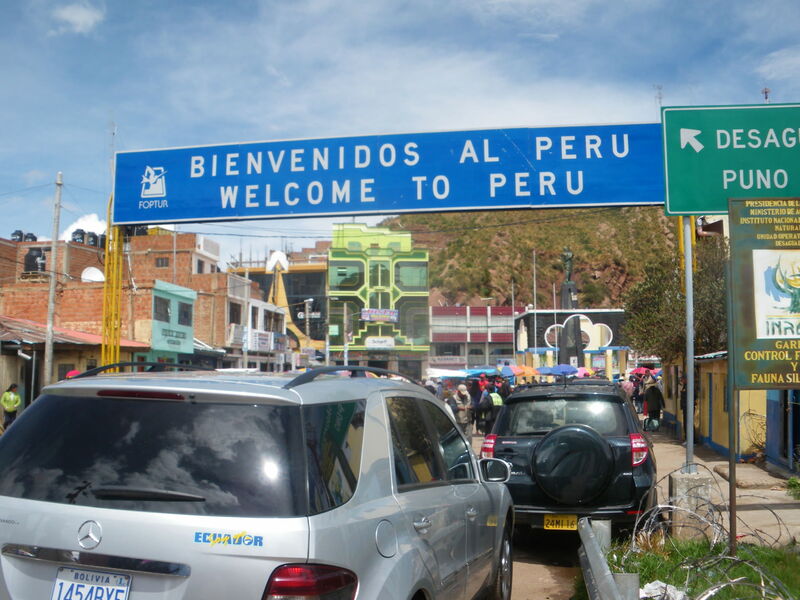 Do You Need a Visa to Visit Peru? OK, so this will depend on your nationality. I travel with British and Irish passports and neither need a visa for either Bolivia or Peru. I just filled in an arrival form in the immigration and got an entry stamp on my passport. 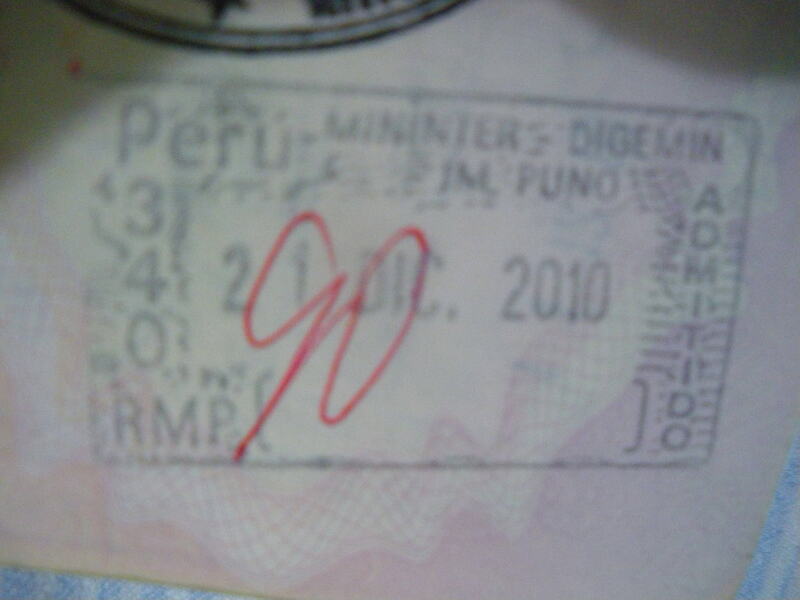 I got 90 days in Peru stamped immediately. 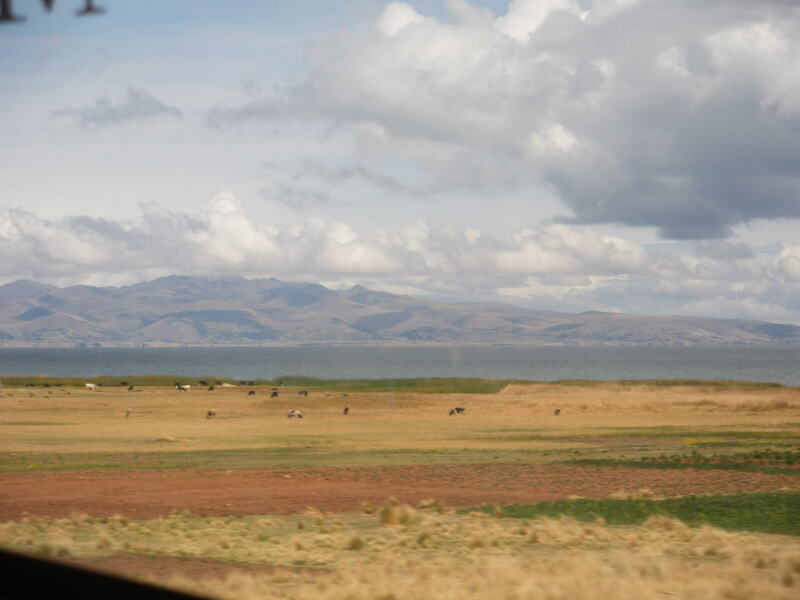 Just across into the Peruvian side of the border and looking back into Bolivia. Expect massive queues on the Peruvian side. I can’t remember exactly but I think we queued for an hour, with big bags and in the heat. Once we got stamped I then rushed to get money changed before getting on the bus. 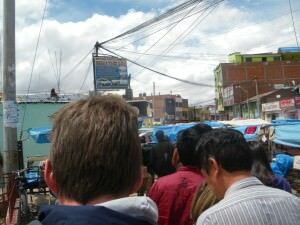 On the Peruvian side of the border there are massive queues – at least there were when I went. It was around lunchtime. 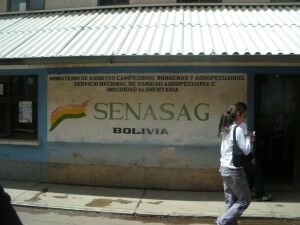 Where can you get your money changed from Bolivianas to Peruvian Soles? 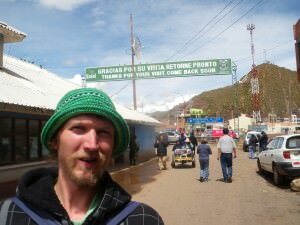 On the Peruvian side of the border there are lots of Exchange Places/Cambios and while the rate might not be the best, it’s a good idea to change your money here as you’re now in Peru and it might be a while before you reach a town (though admittedly Juliaca and Puno aren’t that far away). 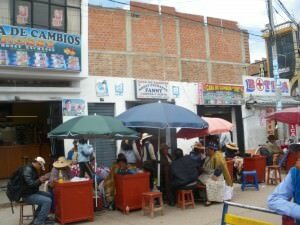 Getting your money changed in Peru – there are plenty of Cambios/Money Exchange places on the border on the Peru side. As bizarre as it sounds, as it’s only a few footsteps away, but Peru is one hour behind Bolivia, so adjust your watch while you wait in the queue. What do the passport stamps look like? 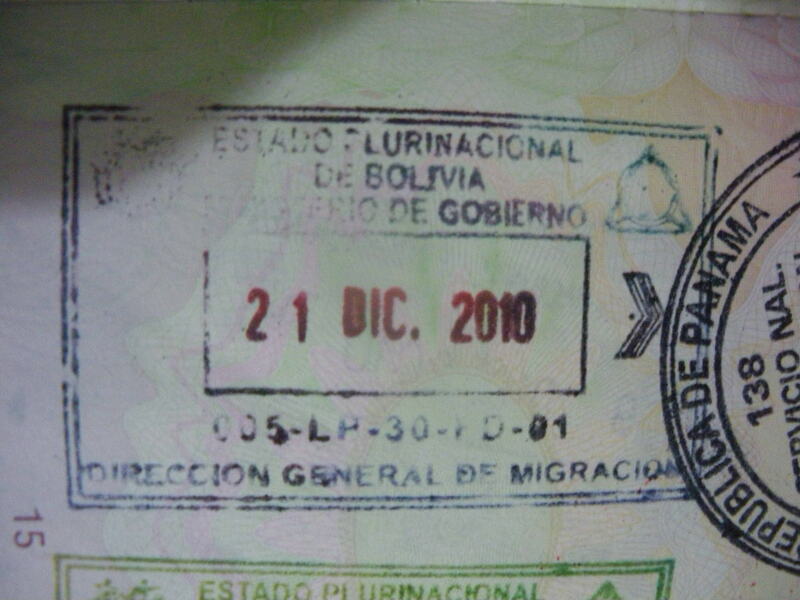 My Bolivian exit stamp at Desaguadero. My Peruvian arrival stamp at Desaguadero. This entry was posted in Bolivia, Buses, Cuzco, Desaguadero, Destinations, La Paz, Peru, South America, Transport, World Borders. Bookmark the permalink. This is really useful. We’re likely to be crossing this boarder in a couple of months, so I’ll definitely refer back to this information. Cheers! How did you get to Cuzco after you got back on the bus? It actually waited for you? Then how long did it take? We are planning to leave La Paz on December 30 early morning and hope to be in Cusco late the same night! Hope it’s doable.